Is anyone else out there sending a Kindergartener out into the world this fall? I've been spending this summer trying to prepare Lo as best I can for her first year of elementary, and our biggest focus has been on independence. 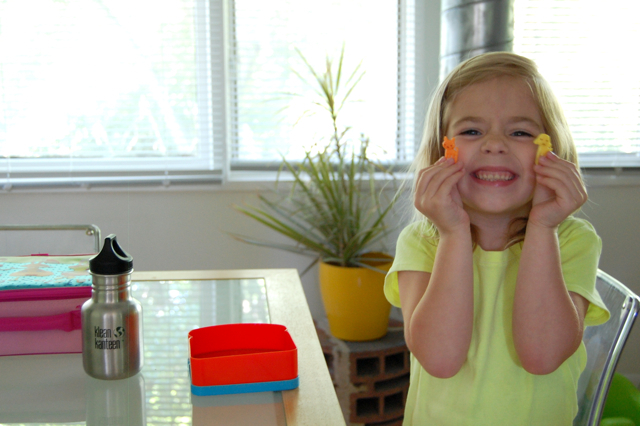 I admit it: she's my first kid, and I may be guilty of babying her a tiny bit. Opening containers for her, cleaning up after her ... I'm always there to help. And so I do. Probably too much. I'm trying to learn to step back and let her do her thing. And then it hits me. OMG. She has to survive an entire school day without me. Academically and socially, Lo is ready. But there were a few things I decided we might need to practice before she went off to school to ease any first-day stress. This little lunch game also gives me a chance to check my portions. She ate everything today and said she was full. This is good. 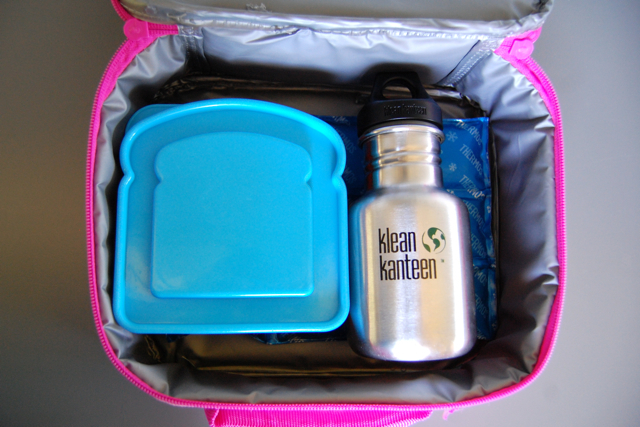 I plan to send her Klean Kanteen bottle with water every day this year. Occasionally, we'll do juice or milk, but water is great. I will fill the bottle with ice cubes in the morning so it will stay cold until lunch time. This is also great lunch-prep practice for me. 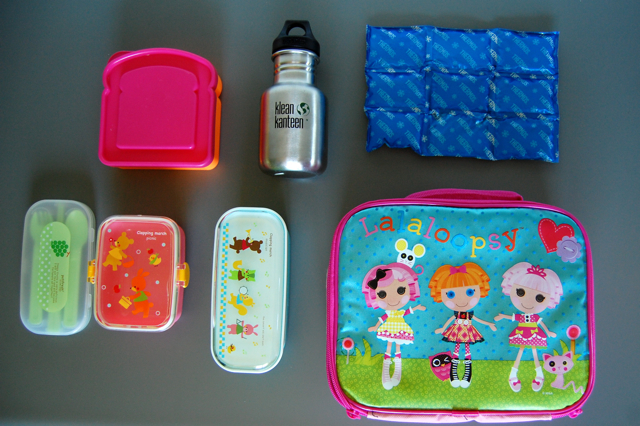 I learned my bento-packing skills from my friend Wendy. I've read her blog for years and have taken lots of mental notes. For instance, I know that you can fit quite a bit of food in a pretty small container, and it's good to pack it nice and full and use extra bits of food to fill in the spaces so food doesn't shift during transport. My favorite boxes to use are the smallish ones that are sandwich-shaped, and sometimes I'll add in another smaller container of fruit or carrot sticks or cheese/crackers. I also really like the small-sized bento boxes with two hinged side clips, like this one. 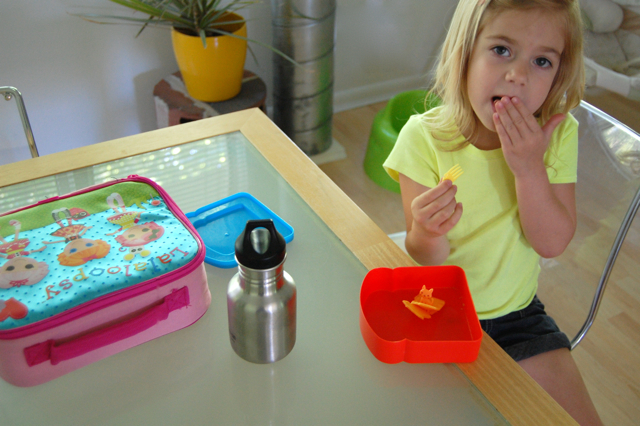 They're easy for kids to open and food doesn't spill or leak all over the place. And my new favorite ice pack is this Thermos ice cube mat. They're inexpensive, flexible, and contain only purified water – none of the blue goo. This is great! Thanks so much for sharing. My kiddo doesn't start until next fall but I've already found myself buying bento type containers when I find them on sale. I think practicing opening containers, etc will be essential for us too, especially since she has mild CP and so has a bit of trouble with fine motor stuff. I'm also definitely guilty of the "let me help you with that" mentality so I need to start being more hands off as well. Time management...I never thought of that. What a great idea. Mine are way past the kindergarten stage, but that is something we would have practiced, had I read your post back then! I love the idea of running through this with her! Great idea. It's so funny for me to read this. My daugther is starting kindergarten this fall as well. I panicked about two weeks ago thinking she has no idea how to manager her lunch. So I have been packing her "practice" lunches for the sitters. Thanks so much for the IDEA! My son also starting school this fall and is a painfully slow eater too! 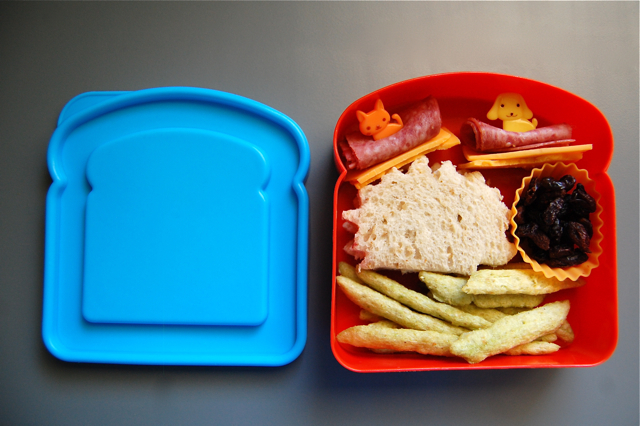 Not sure if I will be as awesome as you and bento it everyday, but good to practice the time mgnt eating part. This is why the internet is awesome sauce! hey you lady!!!! Lo is getting so big! How are you?? The title is a bit misleading. I don't many children are spoiled. I think the point a parent can take away from this is exactly what you are doing, teaching them independence. Anyway, my friends with children took something from it. this is awesome! i am so glad i found you. new follower. I was the one who commented about des moines on skunkboycreatures instagram. If you have a second, i would LOVE to chat with you a bit about places to visit in iowa. We are super excited to be living there and me and my hubby and baby girl want to jump in with both feet. I'd appreciate it sooooo much! Thanks! I am a kindergarten/Grade 1 teacher and I LOVE the fact that you practiced lunch!! That is such a fabulous idea!! When I first started teaching young kids, I couldn't believe how much drama there was surrounding lunch time!! If these are the things you are thinking about now with your daughter, I am sure she will be completely fine at school!! 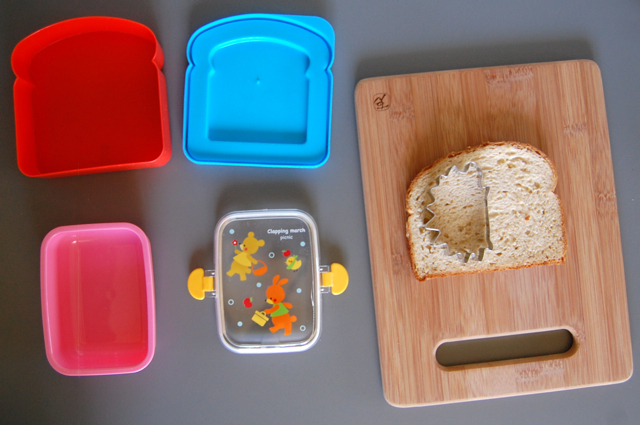 More and more, parents are taking in consideration material composition for their toddlers' lunch kits. I recommend the safest out there in the market and pack in snacks that are healthy to optimize their learning.